Most of us buy luxury cars because we desire a low-maintenance, high-performance driving experience. Mercedes-Benz certainly delivers on both points, but low-maintenance does not equal zero-maintenance. There are still some basic Mercedes tire pressure service points to take note of, in order to keep that beautiful machine performing at its "best or nothing". At Auto Works of Brandon, we are experts at Mercedes service and repair. Our ASE-certified technicians are ready to tackle any issues that may arise and our state-of-the-art diagnostic equipment allows us to assess the problem with your Mercedes and get you back on the road quickly. Thankfully, though, not all issues require extensive repairs, and a little bit of preventative maintenance will go a long way towards keeping your Mercedes performing at its best. You can see your tire inflation levels in the instrument cluster whenever the ignition is on. 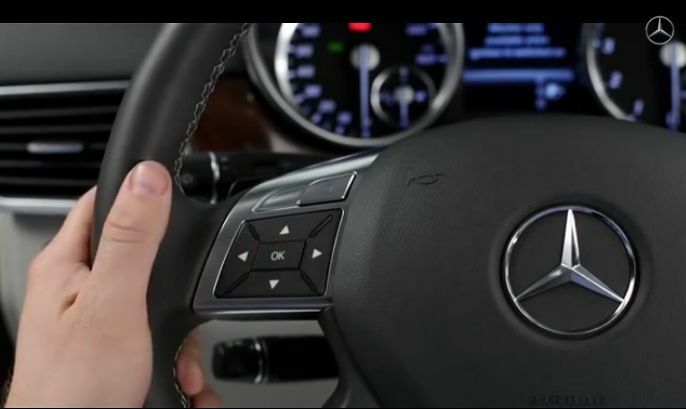 Press the left or right arrow keys located on your steering wheel until you arrive at the "Service" menu. Press the up or down arrow keys until you get to the "Tire Pressure" menu item, then hit "OK". If the system reads a tire is under (or over) inflated, the TPMS warning light will illuminate on the dash. (Note: the TPMS warning light doesn't necessarily mean low tire pressure, but if it comes on, you should check your tires with a hand-held pressure gauge, and adjust if needed). Now that you've checked your tires, you can verify that everything is ok by going back to the "Tire Pressure" menu item display on the dashboard to check. Sometimes the system might display a message saying, "tire pressures will display after a few minutes". If that happens, just drive for a short distance and check again. If everything looks good, press the down arrow on your steering wheel to restart the TPMS. Press "OK", and now your TMPS is reset with the new tire pressure values, and the warning light will turn off. If you have any further questions about how to use your Mercedes-Benz Tire Pressure Monitoring System, one of our ASE-certified Mercedes experts would love to answer them. Everyone knows that foreign cars require a broader scope of knowledge and expertise when it comes to service and maintenance, and that's why we are so proud to be one of the top-rated Mercedes repair shops in Tampa. Auto Works of Brandon has an A+ rating with the BBB and we have not received a customer complaint in our over 14 years in business. We specialize in import and European autos and you will not fine a better place for your Mercedes service and maintenance needs. You can trust Auto Works of Brandon to keep your Mercedes operating at its best. Call us today.